Here at PeoplePerHour, we value quality over cheap prices so we are increasing our efforts to keep rates and quality above the competition. When Buyers post their projects they now need to select one of the 3 levels of experience and rates of the freelancers they want to get Proposals from. 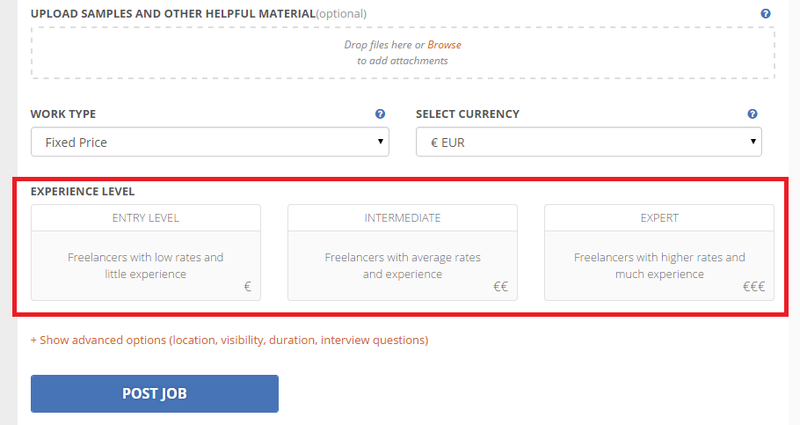 This allows the Buyer to get the kind of Proposals they are after and freelancers to choose where to bid. 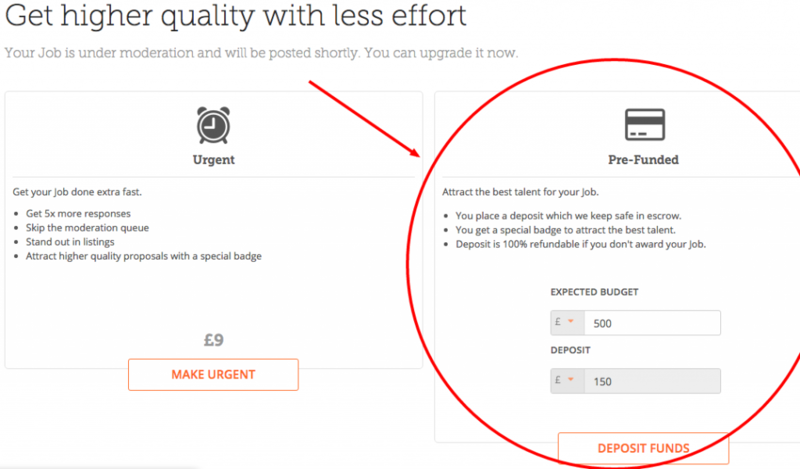 There is no bidding restriction for a freelancer in place. 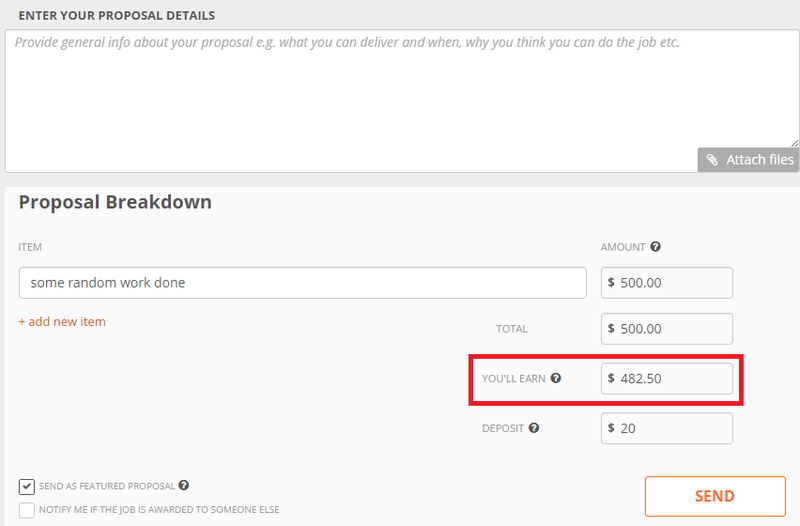 When freelancers send proposals to projects they can now see an estimate of their earnings after the PPH Service Fee charge. This is calculated as if the invoice for the project was raised at the time of the Proposal. Because the Service Fee depends on the earnings of the freelancer so far in the month, the actual Service Fee for the paid invoice of the project may be slightly different. After a project post, the Buyer can place a deposit for the project. If they do the project will be marked as PRE-FUNDED which reassures freelancers that they are serious about awarding the project. Therefore the project will get better Proposals from more freelancers. Also, Auto-Assign projects were removed from the site because it was not an option many of you used. We have rounded up all offers prices to the nearest 10 for the £ (GBP) currency. This will help Buyers make quicker decisions about the offers they plan to buy making the listings page cleaner and it will also push offer prices up to more professional standards. How it works: For a Buyer with £ (GBP) currency, an offer with old price £16 now costs £20 and an offer with old price $28 becomes £20 instead of £18. So freelancers may be earning a little more for some orders than originally stated in the offer page (there is no change in your net earnings calculation and PPH service fee scheme). These are a few things we have been working lately. It would be very helpful for us if you let us know your feedback on any of the above and also if you could give us more ideas on how we can keep quality and budgets to highly professional standards in all cases.